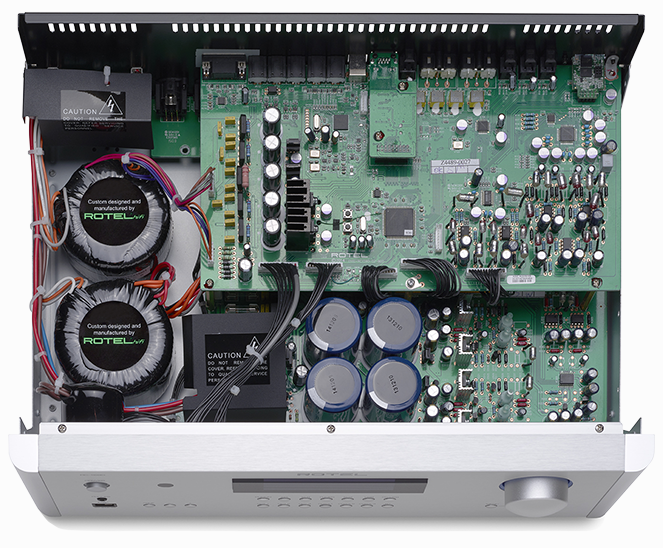 17" × 5.7" × 13.9"
The RC-1590 stereo preamplifier has been engineered to the highest audio performance levels and provides an incredible level of control and flexibility for the user. Starting with a high performance power supply consisting of two Rotel custom built toroidal transformers for maximum efficiency and low magnetic fields, these transformers provide low-noise isolation between the analogue and digital signals. 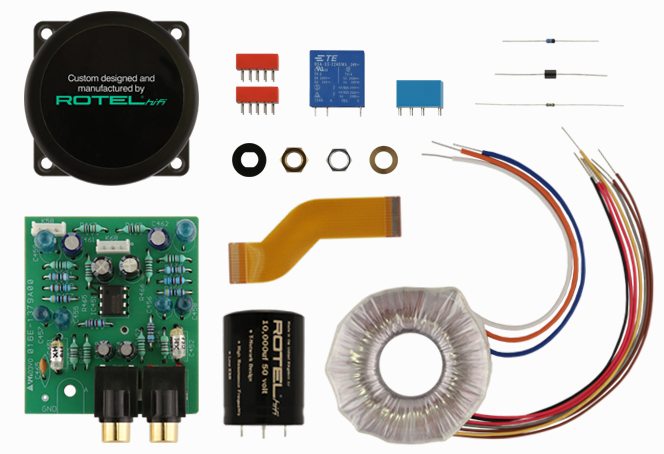 They are part of a reference grade power supply consisting of individual analogue and digital regulator circuits with custom-made slit-foil capacitors. Slit-foil capacitors have very quick charge/discharge times and low signal loss ensuring tight bass performance. 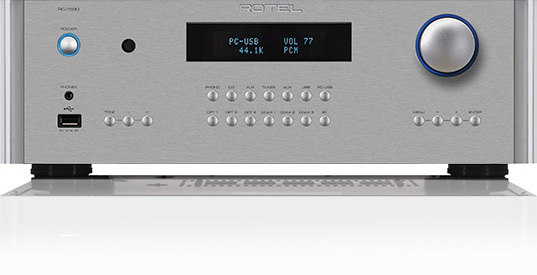 Rotel engineers wanted to create a reference quality stereo preamplifier to match with our new RB-1590 stereo power amplifier. Every aspect of component selection and circuit topography was designed and carefully evaluated during multiple listening sessions to ensure the highest fidelity. For example, analogue and digital circuits were designed separately, by specialized Rotel teams. 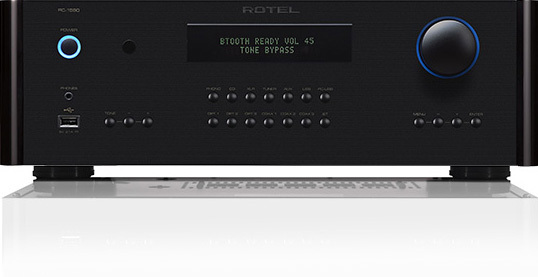 Analogue inputs are all very low noise circuitry and include a high performance moving magnet phono stage. 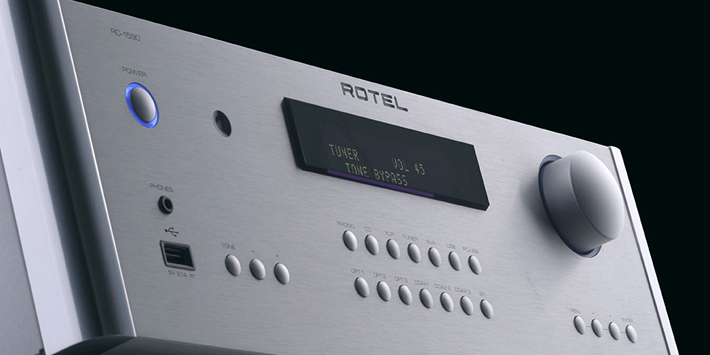 Digital inputs are fully isolated and feature a precision 32-bit 768kHz Digital to Analogue Converter (DAC). 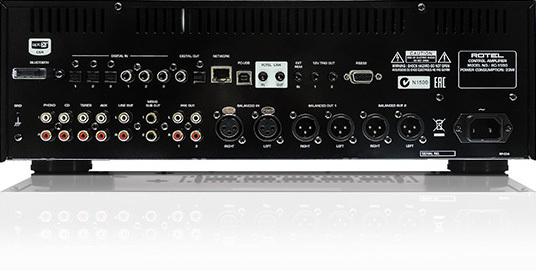 The RC-1590 is fully feature-laden with Balanced XLR and Unbalanced RCA inputs and outputs, a TI precision volume control IC, a fixed volume line output, dual mono subwoofer outputs, digital outputs (Coax and Optical), digital inputs (3 Coax and 3 Optical), Aux, CD, and Tuner analogue inputs, internal aptX Bluetooth (supports aptX and standard Bluetooth) with rear mounted external antenna, a front USB iPod with 2.1A charging input, and rear panel PC-USB 24-bit 192kHz input supporting DSD (Windows) and DoP (MAC computers DSD over PCM).